At Kerkman & Dunn, we devote a significant portion of our practice to guiding businesses, individuals and entities through the process of filing Chapter 11 bankruptcy. Our sophisticated level of service is regarded throughout the state as the standard in Chapter 11 representation. We are equipped with the resources and experience to handle any business reorganization, and our acumen enables us to efficiently direct your case step by step through the bankruptcy process. We routinely appear before every bankruptcy judge in the state of Wisconsin, and we are respected by trustees, court workers and other lawyers in each bankruptcy court. Downturn leaves these businesses struggling to pay bills, debt and other obligations. Rather than filing Chapter 7 and closing their operations, Chapter 11 allows these businesses to financially restructure and continue forward. Our Milwaukee bankruptcy attorneys will evaluate the financial situation of your entity and determine the path that is in your best interests. Sometimes alternatives are available. Whether an alternative or Chapter 11 is the best option for your business, we will immediately assist you. This is an intricate process that can be complicated by business considerations and other involvements. 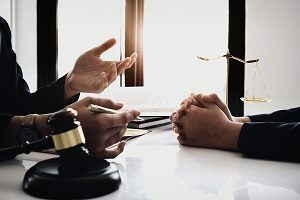 Our extensive background in business litigation allows us to identify all appropriate actions and steps, completing the bankruptcy in a way that protects your interests and frames your business’s future success. Equipped with significant experience, we are able to enter the situation and quickly evaluate what must be done to remedy the problems and streamline the entity’s path back to financial stability. Our team is available to facilitate creditors’ committees, which are organized usually for unsecured creditors to negotiate with a Chapter 11 debtor or business over repayment in a plan. Our fees are paid by the Chapter 11 debtor. We also represent landowners and individual creditors seeking to be paid what they are owed in a Chapter 11 bankruptcy. Contact our Bankruptcy Lawyers Today! To arrange an initial consultation to discuss a potential Chapter 11 bankruptcy, please contact Milwaukee Chapter 11 bankruptcy lawyer today at 800-645-9064.